The site webmaster and historian is Rob Branting. A Lincoln native who lived beneath the flightpath of the Lincoln Airport much of his life has been fascinated with the Cold War, the Strategic Air Command and its role in Lincoln, Nebraska since a child. 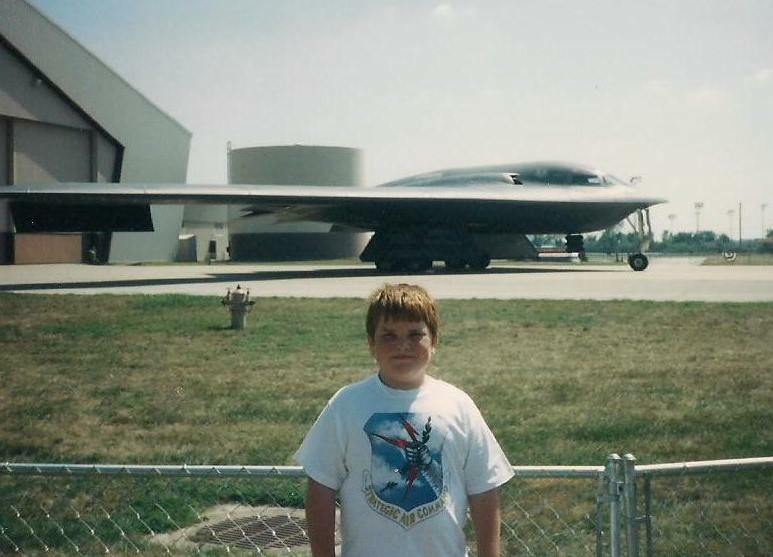 Also interested in technology, Rob opened "The History of Lincoln Air Force Base" website in March 2000 when he was 14. Proceeding to contact and meet with base veterans, and learning how to research the website grew continued on (in one form or another) as he attended college, receiving an Associates Degree in Microcomputer Technology in 2005. Returning to school in 2007, Rob would earn his Bachelors Degree in Hospitality, Restaurant and Tourism Management in 2011 after having interned with the National Park Service's Minuteman Missile National Historic Site the same year. Returning to groundskeeping work for several years (as Cold War tourism has few openings), Rob is now the Site Supervisor of the Ronald Reagan Minuteman Missile State Historic Site near Cooperstown, North Dakota. His commitment to the history of Lincoln AFB is unwavering and soon hopes to publish a history of the base.